The study by the independent German consultancy Prognos, which was published on 11 February, estimates that up to €8 billion and 193,800 jobs could be lost this year alone if the EU implements import tariffs on Chinese solar photovoltaic (PV) panels. Asia remains the world's largest regional producer of solar panels with approximately 65% of all panels being produced in China. The EU is China's main export market for photovoltaic products, accounting for around 80% of all Chinese export sales. 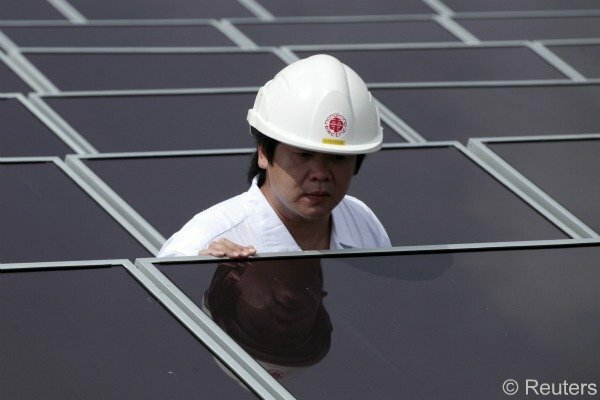 More than €20 billion of solar panels and key components were exported from China to the EU in 2011. AFASE presented its findings to the European Commission last Monday [18 February] as part of the EU's ongoing anti-dumping investigation into whether China unfairly subsidises its solar panel industry to sell products in Europe at below cost-price. The inquiry has divided the European photovoltaic industry with some solar panel manufacturers arguing that tariffs will protect European markets from unfair subsidies that have illegally promoted Chinese exports. But many solar panel installers and service companies, which use Chinese solar products, claim that EU tariffs could dismantle the entire industry, causing lower growth and job cuts. “It’s a shame that Prognos conducted this study, seeing that the conclusions are highly dubious, to say the least” Milan Nitzchcke, Vice President of ProSun, told EURACTIV. According to the study, 80% of the European photovoltaic sector will experience significant “reductions in labour and gross value” between 2013 and 2015 if EU tariffs are imposed. Based on the economic ripple effect in the photovoltaic industry, it estimates a job loss of 193.800 in 2013 alone, followed by 218.800 in 2014 and 242.000 in 2015. AFASE says the job losses will stem from price increases as a result of lower demand for ‘tariffed’ Chinese solar panels. “Europe is in a leading position in the photovoltaic industry and with panels from China we can lead the way and continue being the best. That’s why we are here to avoid import duties” he told journalists in Brussels last Tuesday. The Commission investigation against Chinese solar panel imports was initiated in September 2012 after a complaint was lodged by EU ProSun, an association of European solar panel manufacturers. The EU is legally obliged to take a decision before 5 December 2013. According to Nitzschke, the Prognos study should only be seen as an extension of AFASE, which, he claims, is a Chinese funded organization with little European interest. “It is quite cynical to use the labour market argument on a day when two major European solar manufacturers had to declare insolvency. The Chinese dumping policy harms the whole solar industry and has already caused thousands of people to lose jobs and over 30 bankruptcies and closures of factories” he noted in a press statement. Last November, the International Trade Commission decided to allow the US Commerce Department to impose swingeing tariffs on most solar panels from China. The US investigation studied whether China had unfairly subsidised its photovoltaic industry, creating unfair competition for American-based producers. The decision to impose tariffs on China largely benefited US producers, while fears of heightened solar panel prices failed to materialise. Before the tariffs were imposed, some experts had warned that political trade barriers could lead to a significant loss of jobs and a drop in solar panel markets as a result of decreased imports from China and price hikes. The current EU investigation into Chinese imports with a value of over €20 billion, would be five times larger by value than any investigation under way in the US. Trade between China and the EU reached a level of €460 billion last year, while dumping or illegal subsidies are estimated to only cover 1% of that trade figure. The tariff problem revolves around accusation that China is in breach of international trade rules, due to photovoltaic companies receiving subsidised from China, including from the China Development Bank. ProSun has accused several Chinese regions and local authorities of granting subsidies to companies by preferential interest rates, electricity costs, transaction help, VAT reductions and credit guarantees. AFASE disputes this, arguing that Chinese companies have outgrown European manufacturers as a result of economies of scale, meaning that Chinese companies have managed to push down prices with mass production. On the issue of US tariffs, Preugschas notes that American jobs were in fact lost in the solar panel installation sector as a consequence of the political tariffs implemented in 2012. “The US has already seen losses, especially in our sector," he said. “It should also be remembered that the US and the EU are not comparable on a legal and structural basis. In the EU energy is a smaller system spread over several member states, while it should also be said that German manufacturers have simply not been able to deliver” he said. The International Energy Agency has predicted that solar power could provide “a third of the global final energy demand after 2060”. Dec. 2013: Deadline for imposition of tariffs in relation to the Commission investigation into anti-dumping.